Jaguar Land Rover recalls 69,000 SUVs and cars to replace Takata airbags and lightbulb housings. June 5, 2016 — Jaguar Land Rover is recalling 69,000 vehicles in two recalls involving Takata airbags and the housings for small lightbulbs. The lightbulb housing recall is simple, but nothing has been simple about Takata and its exploding airbags. As with many recent Takata recalls, Jaguar Land Rover's recall is based on different "zones" of the country. The Takata airbag recalls include about 54,340 sports sedans and SUVs that need the passenger-side airbag inflators replaced. The metal inflators are at risk of exploding because of problems with the explosive chemical ammonium nitrate. The recalled vehicles for zone A are the 2007-2011 Land Rover Range Rover SUV and 2009-2011 Jaguar XF sports sedan. The Takata recall involves airbag modules and inflators used as both original and replacement equipment. Vehicles not originally sold or ever registered in the locations above are not included in the recall. Jaguar Land Rover doesn't know when it will have the needed replacement airbag parts, so owners should watch for interim notification letters around July 31, 2016. 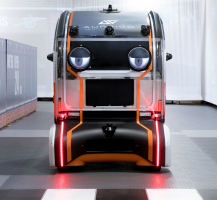 The automaker will mail a second notice when replacement parts are available. 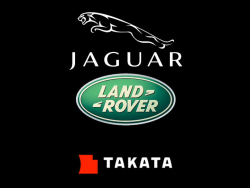 Jaguar Land Rover's Takata airbag recall numbers are J069 and P081. 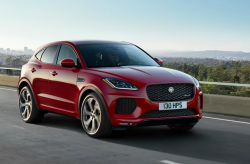 Jaguar Land Rover is recalling more than 14,700 model year 2015-2016 Land Rover Discovery Sport SUVs because the small lightbulbs that illuminate the license plates can fall out of their housings. It doesn't sound like a big deal until you're pulled over for driving without an illuminated license plate. The National Highway Traffic Safety Administration says the Land Rover Discovery Sport SUVs are in violation of federal safety standards because of the faulty light fixtures. Land Rover says the recalled Discovery Sport SUVs were built September 17, 2014, to March 5, 2016. The recall will begin June 27, 2016, when dealers will replace both rear license plate light housings. The 2015-2016 Land Rover Discovery Sport SUV license plate lightbulb housing recall number is P077. Owners of any of the recalled vehicles may call the automaker at 800-637-6837. 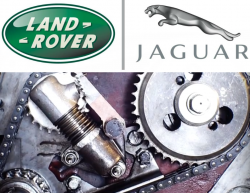 CarComplaints.com has owner-reported complaints about Land Rover and Jaguar vehicles.